A Dusty Deals Holiday Novella featuring amateur sleuth and antique store owner, Lucy Mathews and her Alaskan malamute, Kiska. 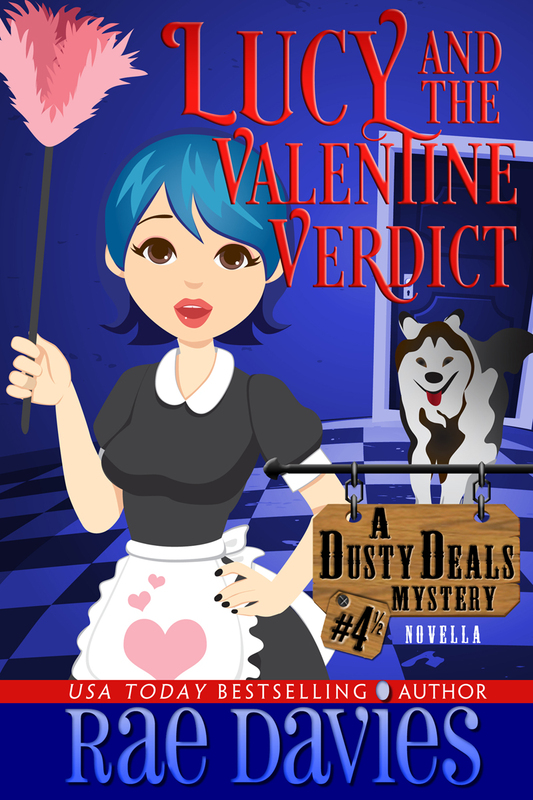 Lucy is looking for love with her cowboy detective boyfriend, Peter, at a Valentine’s Mystery Weekend Retreat. Kiska is looking for treats. Motivated by a bet with Peter, Lucy goes all out to solve the mystery, but things go wrong and Lucy finds herself a suspect once again – and not for a pretend crime. Will she get through the weekend without winding up in handcuffs? Will she win the bet? And what about Peter? What surprise does he have planned for Lucy on this most romantic weekend of the year?